How does… marketing on WeChat work? We ask some of the industry's most knowledgable boffins to break down jargon to help you through those confusing meetings and indecipherable conferences. Here, Partnersize's George Zhang explains why the WeChat show isn’t just playing in China anymore. WeChat is a powerful app that combines messaging, mobile payments and multiple formats of social media. It has grown to become one of the most powerful and influential apps in with world. Since its founding, the service has expanded its capabilities to include features like city directories, appointment booking and curated news delivery. Interestingly, WeChat is popular both for social and business purposes, whereas Facebook and LinkedIn have generally divided the market in many regions outside of Asia. More than 15 million companies have WeChat accounts. Known as Weixin in China, WeChat is one of the most popular apps globally, attracting more than 1 billion monthly active users. In China, it has more than 80 percent penetration, according to eMarketer. An estimated 100 million of WeChat monthly average users (MAUs) are outside of China. In Australia, there are currently more than 3 million WeChat users, according to SBS. In addition, more than 1 million Chinese visit Australia annually and use WeChat, making its payment and other features very relevant to Australian businesses. More than 10,000 Australian retail locations support WeChat payments – evidence of its growing role in both digital and brick-and-mortar commerce. Subscription accounts enable brands to make and deliver a feed or stream of communications to subscribers. Corporate accounts are not open to the public and are designed to facilitate internal company communications. When brands register for an account, they also get a QR code for that account. QR codes are extremely popular in the WeChat world. WeChat also offers ad products including sponsored post messages, which are popular with some brands. WeChat is a super app that combines many of the best features of social media, creating a profoundly social and connected venue for marketing. While WeChat offers tremendous scale, its real strength is in empowering people and businesses to create influence networks. Those networks are key to realizing the full business potential for brands, and partnering with others unlocks a great deal of that potential for brands. WeChat Shops enable brands to sell their goods in special, mobile-enabled commerce venues within the app. This significantly reduces purchase friction and improves conversion rates because users get to transact more seamlessly. Once you create a store, you simply upload photos and information about items, and then connect your financial account. Because WeChat shops are fully integrated into the WeChat experience, it’s easy to for users to socialize store content, purchases and other events. Influencer marketing is one of the most popular marketing strategies in WeChat. Brands can work with key opinion leaders (KOLs) to increase both customer acquisition and repeat purchases. Key opinion leaders are individuals who create large followings for their content on a particular topic. They use their audience credibility to deliver recommendations and other sponsored messages to the people who look to them for ideas and guidance. One increasingly popular strategy is for brands to offer pay-for-performance offers to KOLs, giving each KOL a unique tracking code so that their sales can be tracked. KOLs can also use the power of QR codes to make it even easier for people to transact with their unique offer codes. For example, a fitness apparel retailer could work with a set of influential personal trainers who drive purchasers to the brand’s WeChat store. 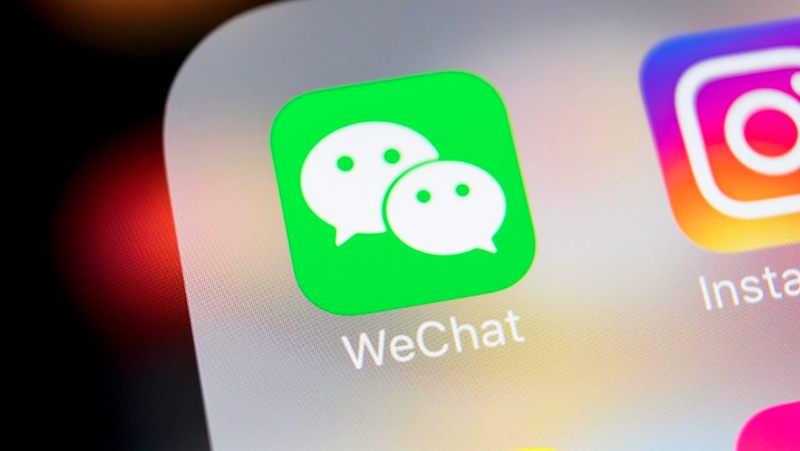 Because of the connected nature of WeChat, a growing number of companies use WeChat and WeChat Shops to drive traffic and sales as part of affiliate programs. The sheer scale and high level of consumer engagement can grow their consumer footprint and increase revenue for you and for them. In addition to these features, one of the standouts of WeChat is its payment capabilities. Australia was one of the first offshore markets targeted with WeChat Pay, and it’s becoming more heavily adopted by Australian retailers. WeChat users can now go into stores such as Priceline, Cue, IGA and Chemist Warehouse and pay in AUD or other currencies such as Chinese Yuan, through their WeChat app. This has opened Australian retailers up to millions of potential new shoppers, with brands like Cue showing that customers using WeChat Pay are spending twice as much on average, per transaction. The WeChat show isn’t just playing in China anymore. As its footprint and influence grow in Australia, forward-thinking brands need to consider how WeChat should fit into their holistic marketing strategy. While not yet as large are Facebook or WhatsApp, WeChat is on an impressive growth trajectory. Key to unlocking its power is recognising – and embracing – its connected nature and leveraging those connections to drive sales. George Zhang is customer success manager APAC at Partnerize. Hey George, nice piece. We attempted to run a campaign for an Australian company but were told its not possible for a non-Chinese business to have a company profile on WeChat. Do you know if this is true or were we stitched up?